There is no job too big or small for our downtown Toronto plumber. When you need emergency plumbing service give us a phone call and we will arrive at your home or business fully equipped and prepared to resolve your issue with ease and in no time at all. In that, we are an emergency plumbing company with over 26 years of experience serving locally you can trust that we have seen it all and fixed it all before. Our downtown Toronto plumbers are well suited to any type of plumbing from repairs and replacement to maintenance or installation of any type of fixture, pipe, drain, or appliance. 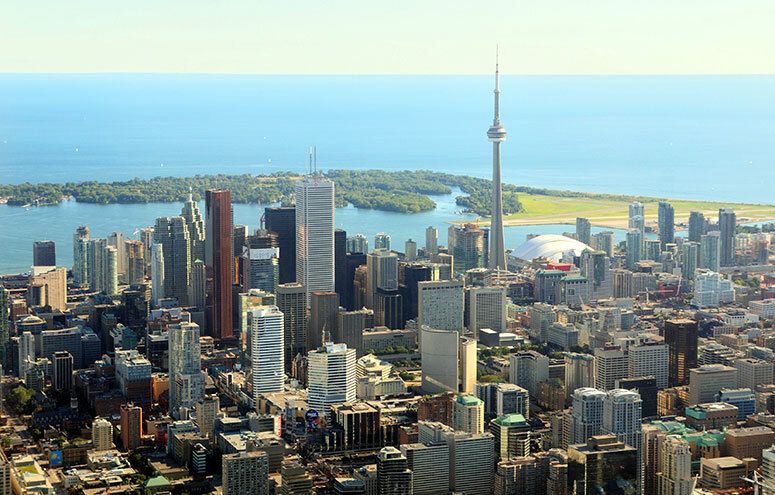 Our downtown Toronto plumbers provide one-time, flat-rate prices which you will appreciate because this allows us to provide you a total cost for the work even before we begin the job. In that our pricing is transparent you can rest comfortably while we are at your location knowing that we've got you covered regardless of how long it takes us. Our downtown Toronto plumber gets the job done right every time and using a long-term solution. There are also never any overtime fees or surprises to worry about. You will get the cost up front, exact, and in writing. Please know that our passion for the work is real and our commitment to offering high-quality customer service is proven. Our EmergencyPlumber.ca management team takes a lot of time hiring because not only do we recruit the best qualified and most experienced local plumbers. We also ensure that we are hiring the best quality people who are happy to provide consistently friendly, polite, and courteous team players. Be confident you will have a positive experience when you hire us from its start until its successful resolution. In addition to our affordable flat-rate pricing and top quality service, you will be very pleased with our level of workmanship. Our downtown Toronto plumber provides minimally invasive, long-term plumbing solutions which utilize advanced plumbing methods and technology to assist us in getting the job done in a highly efficient, effective way that is affordable as well as provides a time and energy savings. Methods such as high-pressure water jetting drain cleaning which will clean entire pipes while clearing clogs or blockages. Or CCTV plumbing camera technology which allows our downtown Toronto plumbers to discover the source of pipe leaks and cracks without having to cut holes in them, or damage any flooring or walls in your home or business. You do well to hire our downtown Toronto plumber for any type of emergency or non-emergency plumbing work. You will receive a fair, affordable, one-time charge and get expert workmanship, friendly and helpful customer service, and a long-term solution that you will likely be happy with and let your friends or family know about. For a consistent price any day of the year and 24-hour service please feel free to give us a call anytime!